Victorian Billiards & Snooker Association Inc.
VBSA Patron: The Honourable Linda Dessau AC, Governor of Victoria. A small project team has been beavering away over the last year or so putting together listings of VBSA Boards and Life Members in order to prepare digital Honour Boards to display on the VBSA website. Real Honour Boards would need a real venue to hang them, so digital will have to do. In doing this, it was decided to resurrect the original VBSA Motto of Crescit Eundo, which translates to "It Grows as it Goes", symbolising dynamic progress. A fascinating explanation of the motto was prepared and is also included. The Honour Boards will eventually reside on the VBSA About webpage but are being promoted here in the hope that all members will take the time to have a look at the people who made this organisation what it is today and also help the project team fill in some of the many blanks in the records. As you can imagine, with a history dating back nearly 100 years, getting a complete record will be almost impossible but we are hopeful that more information is still to be uncovered. Thanks are due to the project team of David Pitt, Warwick Loton & Mark Dunn. Also to Ron Stecum for ptoviding some invaluable source material. The Board of the VBSA strongly recommends that affiliate clubs, and members, support this initiative by the ABSC to support Australia's players at the IBSF World Championships. Please click on this LINK to be taken to the ABSC website to learn more. The VBSA Board are saddened to hear that the Star Entertainment Centre at Tower Road Dandening South was gutted by fire in the early hours of this morning (Monday 1st April, 2019). Our thoughts are with the Manager, Bashir Hussain, players and staff at Star at this very distressing time. Thankfully there are no reports of injuries. Early reports indicate the fire was contained within the second level occupied by Star, but that significant water damage was incurred by the ground floor occupant, Dunya Entertainment, and consequently both facilities will be out of action for the foreseeable future. Pennant matches will be re-organised as much as can be accommodated until a clearer picture of what the future holds for both centres develops. All affected parties will be contactd ASAP to clarify arrangements. UPDATE 18/4/19. New pennant draws for Grades BVS1, CVS1E, DVS1 & CPS have been uploaded to the Pennant Page. Please refer to these for ongoing venue allocations. UPDATE 12/4/19. Changes to matches for W/E 19/4/2019 as follows. BVS1. Stars vs Pool Stars. Cancelled. Star Sandown withdrawn from competition. BYE inserted. CVS1E. Star Entertainment vs Dandenong RSL. Cancelled. Star Ent withdrawn from competition. BYE inserted. All other matches to be played as scheduled. Thanks to Camberwell & North Brighton for accommodating these changes. UPDATE 5/4/19. Changes to matches for W/E 12/4/2019 as follows. Monday 8/4. BVS1. Stars vs Cue8 Bar. Now at Cue8 Bar. Monday 8/4. DVS1. Star Sandown vs North Brighton. Cancelled. Star Sandown withdrawn from competition. BYE inserted. Wednesday 10/4. CPS. Dunya vs Cue8 Bar. Now at Cue8 Bar. Wednesday 10/4. CPS. Star Lords vs DC All Stars. Now at Dandenong Club on THURSDAY 11/4. Thanks to Cue8 Bar & Dandenong Club for accommodating these changes. UPDATE 1/4/19. Changes to matches for W/E 5/4/2019 as follows. Monday 1/4. BVS1. Pool Stars vs DC Knights. Now at Frankston RSL. 7:30 start. Monday 1/4. CVS1E. Star Entertainment vs Cheltenham Tigers. Now at Cheltenham. Monday 1/4. DVS1. Star Wars vs Star Sandown. No play. Draw awarded. Wednesday 3/4. Star Black vs Box Hill. Now at Box Hill. Thanks to Frankston RSL, Cheltenham & Box Hill for accommodating these changes. 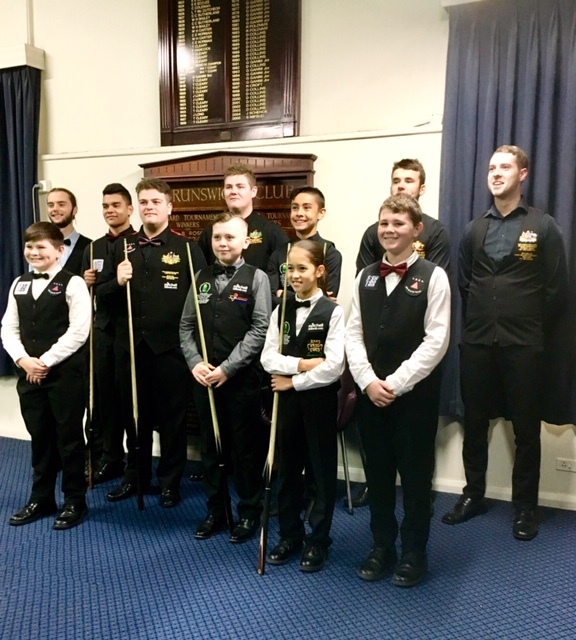 Congratulations to Victoria's Matt Curwood & Marc Fridman who won the Australian Under 21 Snooker & Billiards titles respectively over this last weekend at the Brunswick Club. Matt had a comfortable 5/0 win over Josh Burns (Tasmania), whilst Marc prevailed 321/248 over Josh Burns. Marc was also a semi finalist in the snooker whilst Josh deserves great credit for being runner up in both disciplines. Mention must be also made of Teah Raeburn (18) from Victoria & the oh so young, Lilly Meldrum (11) from Queenslan who fought out the Women's Under 21 final, with Teah going on to win 3/2. And both also played in the Open Under 21s, with Lilly taking a frame in her matches. Fabulous effort from everyone and just for the record GO VICS!! Please note the dates for 2019 Victorian Women’s Snooker Championship has been changed to July 20 & 21. The 2019 Australian National Women’s Championship has been changed to August 9-11. There will also be the inaugural Australian National Women’s Billiards Championship held on August 8. Section 9(c), Player Regulations All Grades, of the VBSA ByLaws has been updated to better govern the occurence of players playing below their apparent skill level. A message will be sent to ALL captains alerting them to this change. Please see the attached entry form for this very exciting tournament. Note there are only 32 paid spots. Enquiries re entries to be directed to George Hoy on 0403 047 840. All VBSA Members, and Members of our Affiliates, would be aware of the manner in which the Reventon Group, and the CEO and Founder, Chris Christofi, have been so supportive of our sports. The VBSA wishes to recognise the Reventon Group, and provide an opportunity for our Members. There will be a Presentation of “Make the most of the money you earn” by Chris Christofi, in April. Having attended previous presentations, I am relieved to report that there is no “hard sell”, and that it could be quite beneficial to some of our Members, Families, Friends and Staff. The Presentation is at the Yarraville Club, 135 Stephen Street, Yarraville 3015 on Tuesday April 16th. Food & Drinks are served on arrival at 6pm. The Presentation should commence at 6:45pm. This opportunity is for anybody who is a home owner, with a mortgage. Couples should have a combined income of $120,000 or more, and singles $80,000 or more. 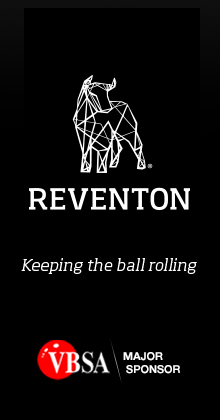 The Reventon Group are offering $2000 towards your investment, for any Member or Associate of the Australian Snooker Community, and a $2000 VISA Card for anyone providing a Referral. Any VBSA Members, or their families and friends, who would like to attend the Presentation, to see & hear how they might benefit, should click on this LINK to register. The VBSA would never wish anybody to place themselves under financial pressure. The Reventon Group is providing advice for those people, who are able to freely utilise an investment opportunity, without any pressure from anybody. The REVENTON/COMMERCIAL CLUB INTERNATIONAL SNOOKER CHAMPIONSHIP will boast a $50,000 prize pool including an amazing $8,000 Consolation Plate. Come and be a part of Snooker's biggest event and this year's first REVENTON TRIPLE CROWN event on May 24-26. Get your entry in today via the VBSA Shop or from the entry form below.